With so many high-profile men recently taking their own lives, Steven Smith takes a look at suicide among the LGBTQ community, and why those that take their own lives are not the only victims of suicide, with his own tale. 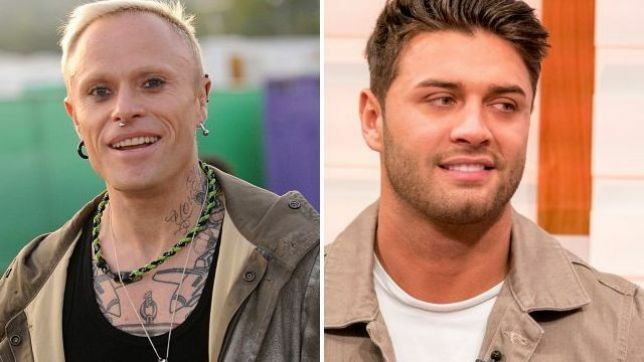 In 2019 we have seen both the lead singer of the group Prodigy, 49-year-old Keith Flint and the reality star 26-year-old Mike Thalassitis take their own lives. Mike was the second contestant from the hit show Love Island to kill himself after former Miss Great Britain Sophie Gradon apparently committed suicide in 2018. In 2017 there were over 6,213 suicides in the UK and Republic of Ireland. Men are three times more likely to kill themselves than women. Forty-four percent of young LGBTQ (under 24) have reportedly considered committing suicide, while half of those identifying as transgender in the UK have tried or considered ending their lives. “Dying for acceptance” has been a headline seen too often. But next to heart disease, suicide is the second-biggest killer of men in the UK, with those from the LGBTQ community four times more likely to take their own lives. Calls such as “Let’s be kinder”, “Don’t be afraid to ask”, “Are you alright?”, and so on are plastered all over the place for a while after a high-profile suicide, but are soon forgotten until the next sad death. For sure, banning Love Island won’t make a shred of difference and shows a great lack of understanding of those that commit suicide. Nonetheless, the chasing of fame is in itself an unhealthy pastime and many who do can end up having mental health issues, as the fame game is a very unstable path. Hemingway once said that to write all you have to do is sit at the typewriter and bleed. Everyone has a story that is painful to share, and up until now my tale was definitely a vein that I was not happy to cut open. Still, I feel it will help others to share and the time is right. Fifteen years ago, I found out what it was like to lose a friend to suicide and it haunts me to this day. I was jogging on the treadmill at Soho Gym when the phone went. This time it was not Darryl; it was his friend’s name that flashed up. Something told me to take the call. “Jesus, is he in the hospital?” I replied. There was a silence. It felt like the floor fell from underneath me and I stopped breathing for a second or two, before asking if it was okay to call back and dashing to get home, full of a pain that I’d just never felt before. Worse was to come apparently. After I had come back from a weekend in Sitges, Darryl had called me, and was making unfounded accusations about the weekend. We had ended the fiery conversation with Darryl telling me to get my sleep, God knew he needed his. Minutes later he had gone down to the garage and killed himself. And according to the phone records, I was the last person he called. Then the avalanche of “who or what is to blame” started. There was an initial suggestion that he might have taken an E, as Darryl was a regular at clubs like Trade. Many headlines have something like, “Suicide after drug binge” – blaming cocaine and Es. Much as long-term use of either drug affects mental health, he would have been on an up, not a down. Possibly a downer from either drug can lead to self-harm. LSD or angel-dust, magic mushrooms and hallucinogenics are mind altering and have been justly linked to suicide. His ex-partner was quick to point out that maybe if he had found someone who was a colleague at the airline (as he was), he might have found happiness. What shocked me most, though, was that the partner (whom I had met twice) had found time to tell me that my look would not go down well at the Trade night-club (thank God), but at no time did he feel the need to ring me and warn me that Darryl had mental health problems and had twice tried to kill himself. This information was only released to me after the event. Nor, it seems, had the airline he worked at been notified of his previous attempts to take his life – attempts his previous partner had apparently witnessed. So selfish, some said. Yes, but not in the context they were suggesting. The act is all about them, and they are not sitting thinking of anyone else, and if they do, it’s in the hope it affects them. From talking to people who have attempted suicide and failed, something just clicks, and they go for it, or the pain for them is too great so they plan an escape route. Darryl had wanted me to come over that night and I was just too tired. The truth is, it probably would have made no difference. In fact, it may have saved my life, as later, numerous pictures of me photo-shopped as an angel were found on his computer, and there was a general sense that he had planned to take me with him. Either way, no-one else is to blame for someone’s suicide. But for a while, no matter how strong you are or smart, you blame yourself whilst being in incredible pain. Some say it’s the ultimate emotional blackmail. Of course, it’s easier for some who feel they should have done more to point fingers. How did this all come to pass? To be honest, having had few dealings with mental health at the time I didn’t see the signs. Since I’d been a child doing things that I was not meant to do had never been my forte. Others got away with it and honestly, for the most part, I toed the line. In fact, my life could not have been better. My partner of many years was without a doubt the most stimulating and wonderful human being. My career was buzzing, and I was in perfect health. All that was maybe lacking was a little lust and excitement that often couples who have been in long-term relationships start to miss. I had been de facto married since I was 22 and I was now 38 But it was, I thought, not a problem and I pushed it to the back. We had a buzzing social life that did not include the gay scene. On occasions I would go out with some of my pals to local gay clubs. It mainly made me realise how lucky I was to have a great fella at home. My darling departed friend Lester Middlehurst – a journalist at the Daily Mail – went out to a club called Bromptons after a show one night. Lester was hysterical fun, very Machiavellian, and he always managed to get me to go to places. Lester was soon off flirting and dancing, leaving me by the bar. Looking over at the slot machine by the wall there was this vision of a man that made my heart beat fast. It was only a minute before there was tap on my shoulder. As always when I fancy someone, my mouth seemed to be moving but I was not in control of the words. Once I’d told him yes, he was very sweet and said it was just his luck, it was not often he fancied someone, but he would leave it at that as he didn’t sleep with married men. And off he went. Two months later I was back in Bromptons club and there Darryl was. I did everything not to make eye contact. But almost one minute later there he was. “How’s the boyfriend? Any plans to leave him?” was the opening line. Laughing, I made it clear. No way! But Darryl had been on my mind ever since meeting him. On reflection, a sign of low self-esteem, but how was I to know? He was high up with one the biggest airlines, was as handsome as hell, owned his own home, car, everything. Seemed like a down-to-earth guy. Then the offer was put on the table. “I’ve been thinking about you, and I’ll put money on it: you’re not happy in some department of your relationship. And this idea would help put me thinking about you to rest too. It was wrong, and it was a night to remember and he dropped me home and kissed me goodbye and that was supposed to be the poetic end. Two days later I’m in Holborn studios working away and there’s a call from the main reception for me that’s highly unusual. Apparently, I had mentioned during our steamy exchange that I was working there for a few days. He had gotten into my head, so it was a “yes” and I gave him my number. Even as I put the phone down I so knew this was a bad idea. He had, however, made me feel like a teenager, doing it for the first time, so like a moth to the flame I went. Of course, two times turned to four – and so on. It was a dream to kick off with. Not only was he charismatic, good looking and full of surprises; he seemed to know so much about me and what I felt, even before I did – and he was so intelligent I could have talked to him for hours. He told me that seeing me with zero commitment was better than looking for someone who was not out there. Selfishly and stupidly, I was happy to accept that. It was easy to fit in as my long-term partner had always had separate hobbies, which we felt was healthy. But then the next mistake happened. I started to take Darryl to the odd event. Apart from the divine Contessa Sharrock (who adored him, as Darryl did her) everyone hated him or warned me about him. Lester, of course, did all in his power to split us apart, not because of any loyalty to my then-partner, but because he got jealous. Equally, I was not a huge hit with his friends either. My ego had come out to play, blocking common sense. Ego is a very dangerous toy and much as it can court pride it brings out elements that can become destructive. Despite my looking like a confident person, there has always been an insecure side. Well of course, with every high there is a come down. Darryl was driving me home and was driving a little fast, raising my concerns. Talk about cold turkey. Using all my charm and reason to get him to slow down I begged him to be reasonable. Ten at night was not a good time to do this. Luckily, he agreed, and dropped me off with my heart still thumping. Well, you probably guessed. Two weeks went by and a few missed calls, and there he was, parked opposite our home. I was not stupid enough to get in the car but agreed to meet him for a coffee. He was so apologetic, explained that he’d been stressed at work and things between us were a little out of control, but he would never have hurt me or crashed the car. He had become my addiction and he was saying what I wanted to hear. Now, as this is “Tales of a single middle-aged gay man”, I could write a novel from this tale and they could honestly make it on Netflix. Sadly, I will have to cut a lot out. But this was a beautiful man on the outside who was tormented inside and had actually planned a whole scenario. He had seen a cricketer with floppy blond hair at the airport and obsessed about finding a gay man who looked like him. Alas, I matched the I.D. There was speculation that the whole relationship was planned from the start – together with the tragic ending. Things got so bad and we ended it for good. Lester took me away (to talk some sense into me) to Sitges in Spain. Darryl texted: “Help”. For once I put it to the back of my mind. On my return, sure enough, he was ok; and on the phone, as I was going to bed, he was accusing me of all sorts and I had truly had enough. It was an unhappy ending. Now what has come of this is, apart from losing a beautiful person, once the pain had passed I went on a feeding frenzy of reading and researching on mental health. In a way I grew up and seemed to have an ability to see people with issues quickly. It was either that or the fact I took up Reiki in an attempt to help myself heal. It’s so sad, as now, if Darryl appeared in my life, it would not take me ten minutes to work out there were mental-health issues. Things might have been different. Six months later, sitting on a boat in Sydney harbour (a place that had been Darryl’s favourite), everything was perfect. I was with my amazing partner, beautiful weather, and a darkness hit me. I felt like jumping in. It was a feeling I had never felt before. I had depression – without a doubt brought on by the events. Luckily my partner, who was a rock during this and a saint, saw it almost immediately and helped me. It came on and off for a long time and even now, on occasions, creeps back. Darryl was right: the consequences of his death are with me for life, but it gets easier. 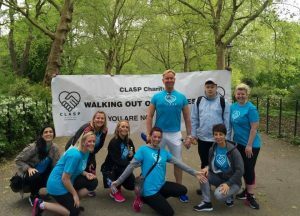 Each year I walk with the charity CLASP’s Walking Out Of Darkness event. It’s a charity that, among many things, raises awareness of suicide prevention. I do it in Darryl’s memory. It leaves from Battersea Park. 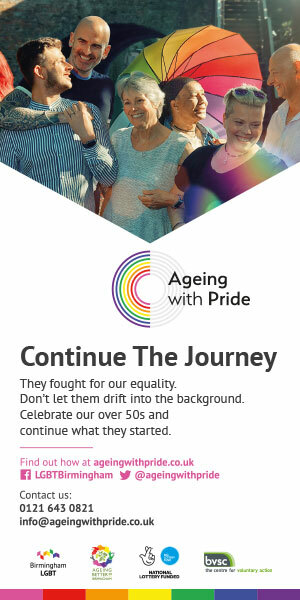 Please sign up and join me on Saturday 18thof May. Previous Lord help us all. Vera is back with TWO amazing new videos. Another well delivered emotive article from Steven Smith who is quickly becoming a writer of substance. I should not be reading this on a busy train as sitting here with tears rolling down my face is not a good look! Brilliantly written as always Steven. It resonates soundly with me again. It’s funny we have led very different lives yet have endured and enjoyed so many similar emotions. Thank you for sharing, I hope this might just make a difference in some way to someone in need. I look forward to your next sharing of the emotional roller coaster that is Steven Smith’s life!!! Article marketing success doesn’t happen through the night. There is a a lot of methods to get your site on really of these search applications. Thank you so much your always an inspiration. Well i can relate my partner of ten years we were together took his own life !!! so you can imagine the pain ,well nobody can really other than me . Still filled with guilt and anger at times towards him its been now over 11 years since he took his life !!! And life is getting better .